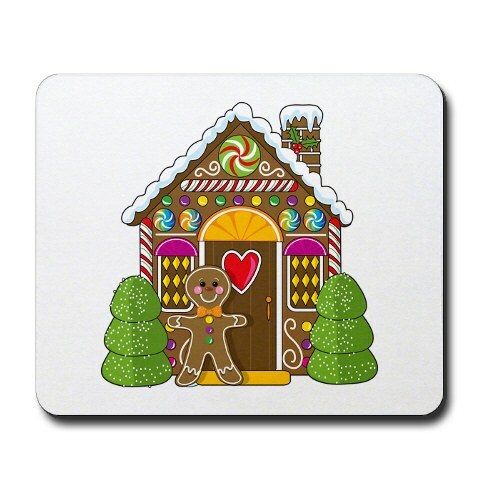 Gingerbread House Mouse Pad for Year Round Fun! While I was off picking up our sweatshirt, I saw this Gingerbread House Mousepad too. It was too cute not to mention… who can truly have too much Gingerbread fun stuff? And, with a mousepad you can use it year round without unlike the real house that just might get eaten when your not looking. The folks that make it offer to put your name or other text on it too… which might make it a great gift too.